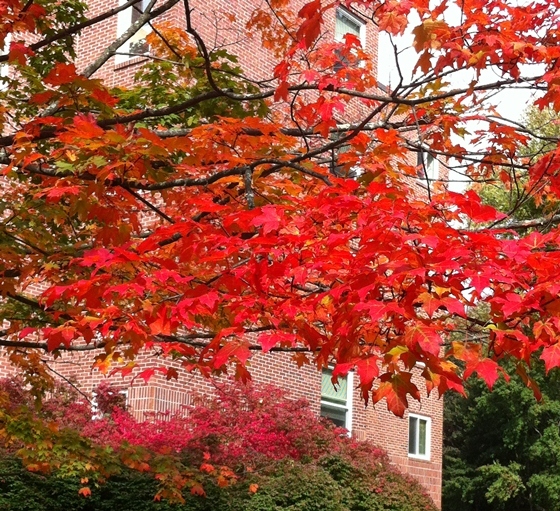 Autumn … one of the many reasons why I will never leave New England. 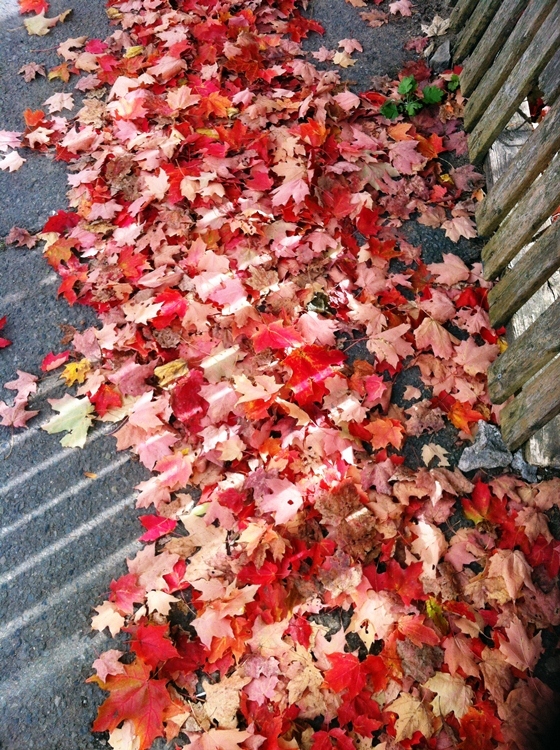 While out on my lunchtime walk on the Brook Path in Wellesley, the color orange followed me everywhere. This fungi really intrigued me, I don’t believe I’ve ever seen such a brilliant color of orange on a mushroom! If you know what kind of mushroom this is, please comment and share your knowledge. 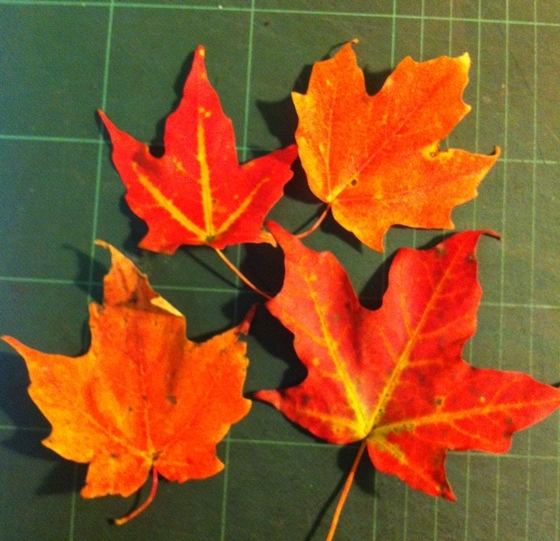 What signs of Autumn are you seeing in your world? Maybe the only reason I need to never leave New England. Yup, me too, despite winter. Although this year I’m going to try snow shoeing and trudge out with my camera. Photographing in winter light in the snow should be quite the challenge! I had to add a p.s. – This is what I miss about not being able to let my cats outdoors (too busy a traffic area, too many nighttime predators) – I loved watching them run through the leaves and hide in them! We went to Northern Michigan this past weekend and it was stunning — the weather was perfect, too, so when the sun hit those leaves, POW! Dazzling. And Miss Lizzie Cosette had her first long car ride and did well, with barely a mew! This time of year I love driving on the MA Pike because each day you see the colors creeping in more and more. My sister says this: This is Laetiporus Sulphureus commonly know as Sulphur Shelf or Chicken of the Woods. The latter common name was given because this fungus seems to taste like chicken and is edible when young (if you are so inclined!) This shelf-like fungus grows mostly on hardwoods and can be various shades of yellow to orange. 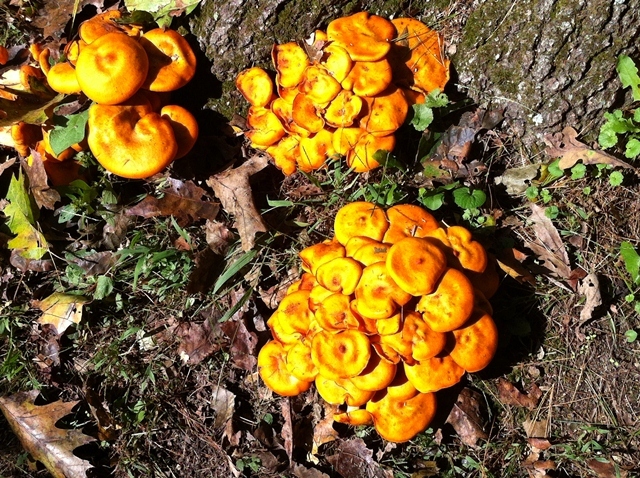 Jack O’Lantern is poisonous while Sulphur Shelf is not – how do you tell the difference?